ISLAMABAD, May 9, 2018: Senate Opposition Leader, Senator Sherry Rehman, slammed the government for the worsening power crisis in Pakistan. “The government talks about the sanctity of vote but has provided no relief for the people of Pakistan. We have been hearing promises that loadshedding will end once and for all since 2013. They ran their campaign on this platform. Yet, here we are, living in an era of brutally long hours of unannounced loadshedding,” Rehman said on the floor of the House. “I have been in meetings wherein the Chief Minister of Sindh repeatedly requested the federal government sovereign guarantees for renewable energy. This is important, considering the fact that Pakistan only generates only 1% of renewable energy from wind and solar sources while the global average is 15-20%. After 5 years of not being serious about it, the PMLN is now taking credit for the Diamer- Basha Dam. 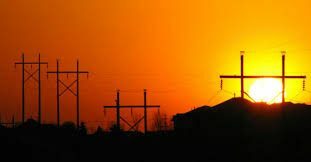 We could have generated surplus electricity had the government been serious about the energy crisis,” reiterated the Vice-President of PPPP. “The government is obliged to give answers to these questions. But once again we are being told all is well! Right now, it seems like we are talking to a wall,” concluded Rehman.